Fertilizing lawns and making sure they are free from weeds and insects are great measures that any homeowner in Allentown, Bethlehem, or Easton, PA should take. However, there are many cases where lawns will struggle to have optimum color and vigor. The culprit is often the result of acidic soils. In order to grow healthy cool season turfgrasses such as Kentucky Bluegrass, Perennial Ryegrass, and Turf Type Tall Fescue in the Lehigh Valley, it’s important to make sure your soil is between 6.5 and 7.0 on the pH scale. Because our local soil has a tendency to be about 10x as acidic, lawn care companies often perform lawn limestone treatments in the fall to help raise low soil pH closer to that neutral zone. Lawns that grow in acidic soil will always remain at a disadvantage. Nutrients, whether naturally found in the soil or supplemented with regular fertilizer applications, will only get partially utilized by grass plants in low, acidic soil pH. 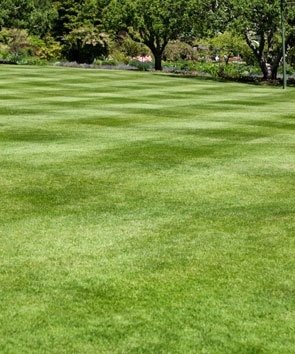 This can often result in lawns not being as green as they should be, and overall thinning of your grass. A lawn limestone treatment will not only help your soil to release these valuable nutrients to your grass plants but will also help you to ultimately see fewer weeds which thrive in low soil pH. You can and should use lawn weed control treatments to remediate weedy situations, but this is only treating symptoms of an underlying problem in the soil. Another benefit of a proper soil pH is its impact on microbial life. Soil contains microorganisms that naturally break down thatch (a naturally-occurring layer of dead grass parts). If the thatch layer builds up past ½”, it can contribute to pest infestations and other negative grass health issues. What About a Soil Test for My Lawn? Some areas in the Lehigh Valley are prone to extremely low soil pH, at levels that require a more aggressive lawn limestone treatment. In order to assess your lawn’s conditions, your lawn care company can perform a soil test to determine if this additional measure is needed. Whether you want to include a lawn limestone treatment as part of your annual lawn care program or recognize it’s been a long time that you’ve gone without it, Joshua Tree would be happy to discuss your options for adding this important lawn maintenance task to your existing program or as part of your new routine. 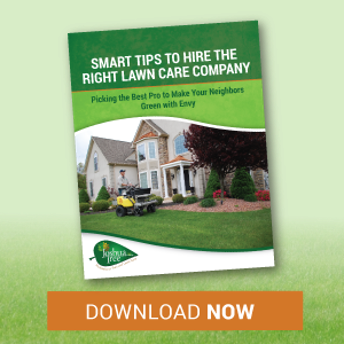 Feel free to request a free lawn care consultation with one of our experts or give us a call at 610-365-2200 to learn more about how soil pH can impact your lawn care results.